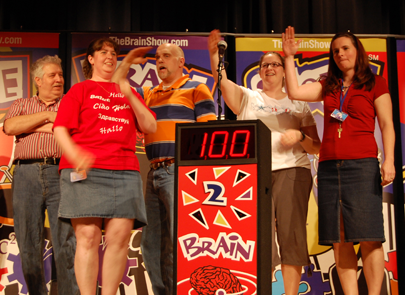 If you are looking for a great way to rally the troops and make for a fun day then consider hosting The Brain Showsm for your company's motivational team building event. 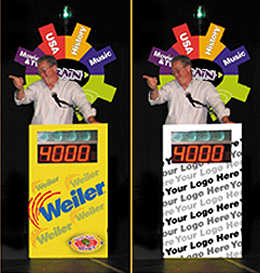 The Brain Showsm, which offers the look and feel of an authentic TV game show, serves as an excellent vehicle to stimulate employee morale and educate them regarding important company initiatives. The Brain Showsm host can incorporate special questions regarding pertinent company matters to “quiz” your employees. 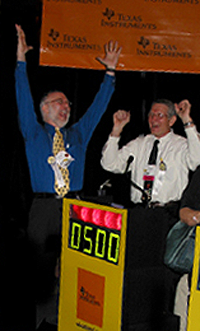 The game, in addition to being a fun Pop Culture trivia contest, also serves as an educational platform. Either way, the employees have a great time and appreciate your progressive thinking. 1-570-676-5703 or complete our Online Request Form. Key question – would I do it again?......... In a heartbeat. Many thanks, I hope to work with your company again soon.